Indo Tibetan Border Police ITBP Recruitment 2018-19 (Ministry of Home Affairs, Government Jobs in India) notification for 85 constable (male/female) posts. All legible and interested candidates can apply on or before (13-11-2018). 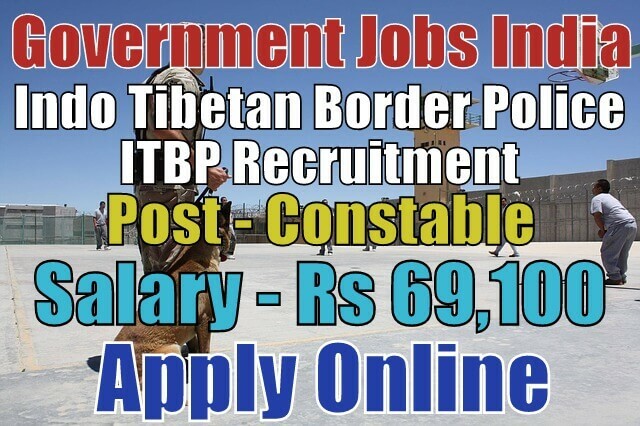 Further information about the Indo Tibetan Border Police Recruitment courses and exams, vacancies, government jobs, salary details, ITBP careers, application fee, ITBP government jobs, educational qualifications and all other details/information about this post is mentioned in detail below step-by-step. The total number of vacancies are 85. 1. Constable (Animal Transport) - 134.